Wedding and prom ready! 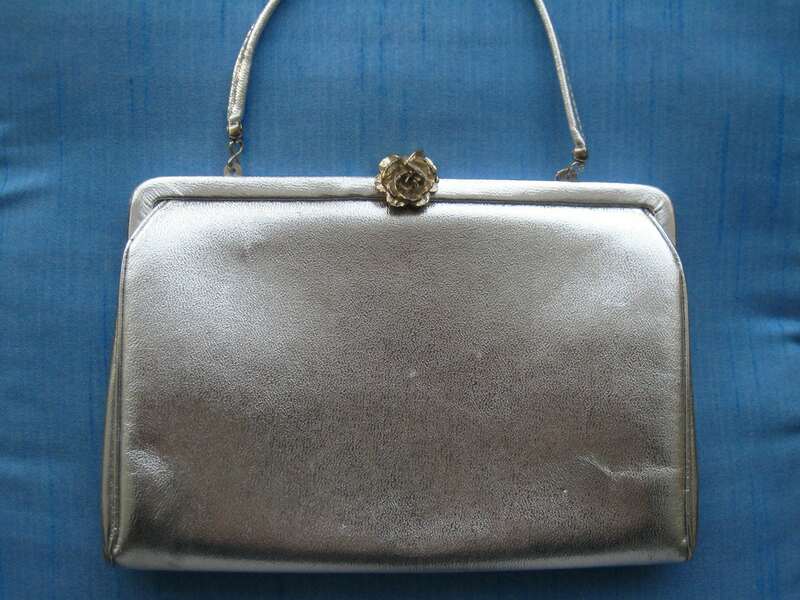 Vintage silver lame faux leather handbag by After Five. 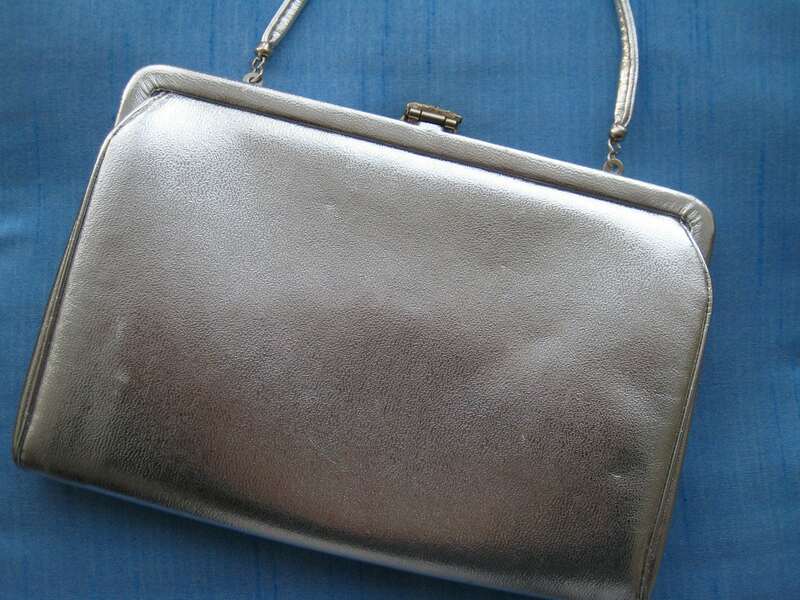 Matching strap with a 3.5 inch drop that folds into the bag to make a clutch. 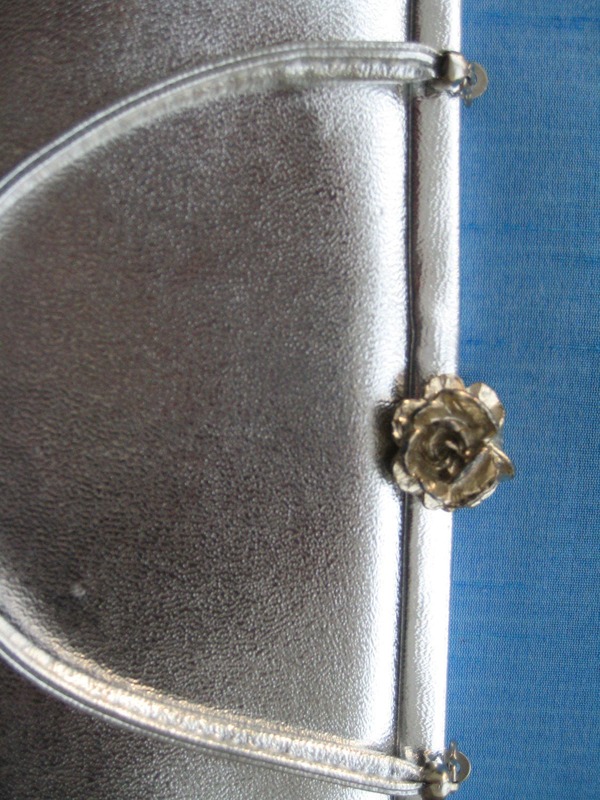 Pretty silver tone metal rose catch. 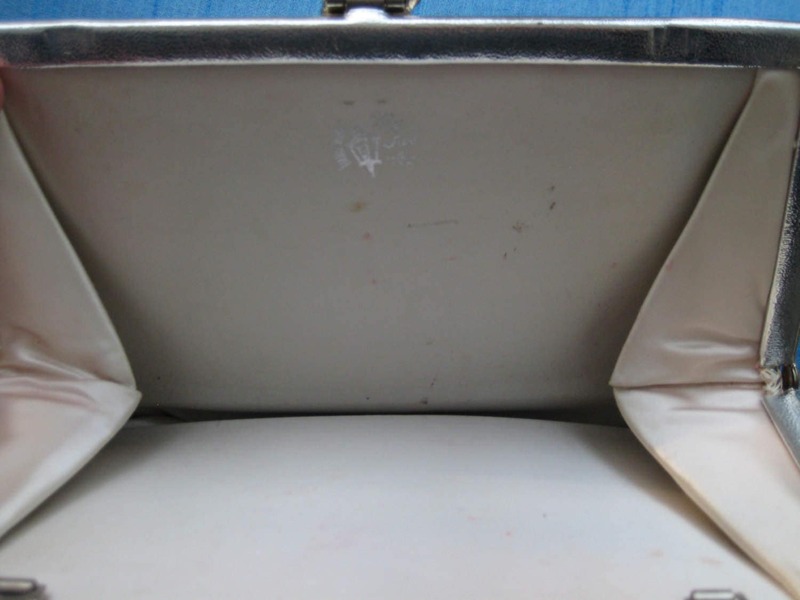 Cream satin interior with a few light make up marks. Embossed makers mark. Roomy enough for a smart phone, credit card, comb and lipstick!